If you’re in the Los Angeles area and you’re looking for car title loans, look no further! Don’t get upset that the banks are turning you away from getting the loan that you need. 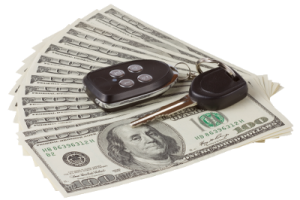 Car title loans in Los Angeles are easy to come by because of how many companies offer them. What makes Title Loans Express different from the rest? If you’re wondering what differentiates Title Loans Express from the rest, here are some reasons why. We offer the best in customer service and make it a priority to get your loan approved within 15 minutes! We truly care about our customers. We make sure that you leave happy and satisfied with your loan. Lowest interest rates compared to other companies. We offer flexible payment plans and make sure you’re able to pay it off! When it comes to car title loans, Title Loans Express doesn’t waver in our loyalty to our customers. We’re most interested in giving a positive customer service experience to all our clients. It matters to us if you enjoy the process or not, and we emphasize to each one of our customers that if you’re not satisfied, let us know and we’ll do our best to make it right. First, give us a call at 855-303-CASH (2274) and our loan officers can help you answer any questions and concerns you may have. Or you can fill out our easy online application which will take less than 5 minutes. Once our loan officers approve you for the loan, send in any important documents to us. We’ll need a copy of your pink slip or car title, proof of your income (which should be over $1,500 a month), proof of residency, and a copy of your driver’s license or ID. After we receive your paperwork, you’ll receive your loan amount through your bank account or MoneyGram. You’ll be ready to go in no time! Hard Times and Bad Credit? We Can Help! If you’ve hit rock bottom in your finances and you’re not sure what to do, let us give you a hand. Title Loans Express can provide you with the loan you need to get out of your pit of despair. Even if you have bad credit, we won’t turn you away from getting a loan with us. We give our loans solely based on your vehicle’s equity and market resale value, not on your financial history or past mistakes. So if you own a vehicle that is newer than 1999 and you want to get a loan, Title Loans Express will be able finance your loan Apply online or call now at 855-303-CASH (2274) to get started on your car title loan today!